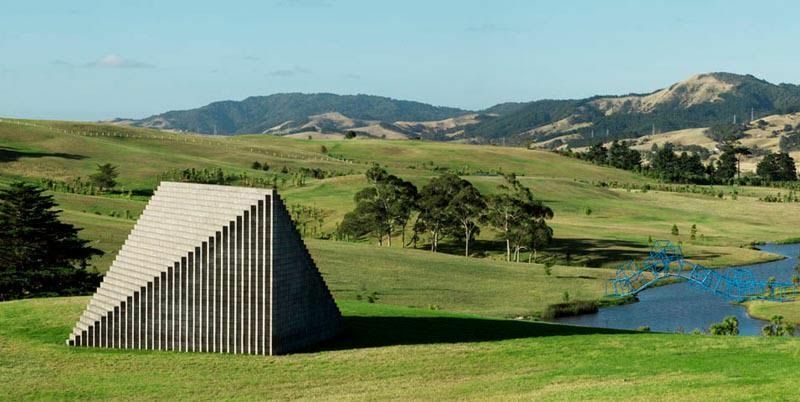 Along the Kaipara Harbour, North of Auckland is the incredible Gibbs Farm. Open only one day a month and only available to those who have booked, the Gibbs Farm is certainly a well-worth a visit with a collection of some of the biggest names in art internationally and nationally including Bill Culbert, Ralph Hotere, Anish Kapoor, Sol LeWitt, Len Lye, Peter Roche, Richard Serra…. and the list goes on. One of our favourites is the magnificent double ended megaphone by artist Anish Kapoor, presently a big name in the world of sculpture. Looking for something to do on the next fine winter day? Make this your next stop! For more on this artist farm, just outside of Auckland click here.